Devoted to the little engine that thought he could. Can you find all six hats in this image? I should have photoshopped on out just to drive you folks crazy! Now, out of colour I can take. But I DEMAND to know what happened to Casey's lamp-hat. Ironic that in a puzzle to find hats, Casey is missing his. 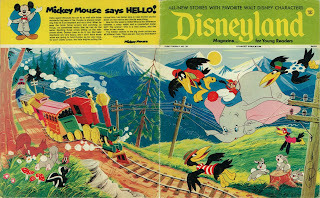 CaseyJonesJr.com, "Casey Jr.'s Back", is not affiliated with, maintained by, or in any way officially connected with the Walt Disney Company or any of its affiliates.